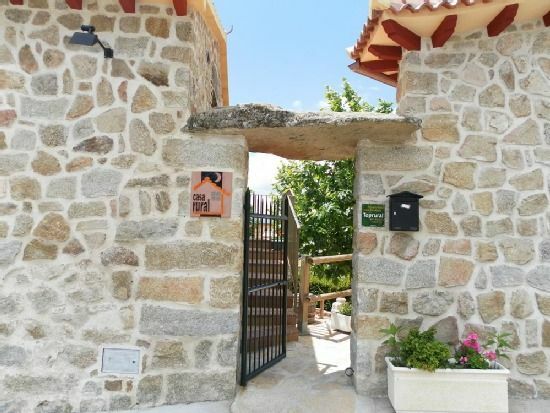 Old portals reconstructed and rehabilitated to house rural houses in natural stone. The entrance gives access to different common spaces, such as barbecues, playground with slide and swings for children, pergolas with stone tables and chairs to rest outdoors. We have a large dining room equipped with ceramic hob, fridge, microwave, coffee maker, kitchenware, crockery and cutlery, heating and also a fireplace that makes it very pleasant to stay on cold days. This dining room is ideal for celebrations with family, business meetings, or friends, since it has a capacity of 30 - 35 people. (Rent apart from the houses, check price). Each house consists of: - 3 double rooms with bathroom in each one. - Living room with kitchenette, equipped with ceramic hob and everything you need - T. V., washing machine, individual oil heating. - We also have a crib for babies. - Living room: Consult with the owners.